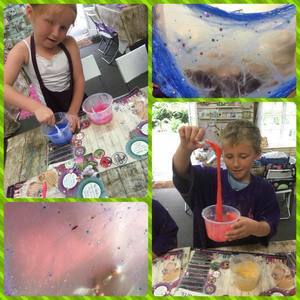 Have fun mixing ingredients to create the ultimate slime, adding your favourite colours and sparkles! Including squash and a biscuit. Please indicate name and ages of children in the comments upon booking. *Please be aware slime ingredients contains borax.